There are just those nail polishes that grab you. The ones that pull you in time and time again. The ones that, even if it's been years, you always return to with a smile and a sense that they've brought you home. That's how I feel about Deborah Lippmann I'm Not Edible. "Everything inside is eatable. I mean edible. I mean, you can eat everything." The original color was a brighter pink. I'm not sure if it's lightened over time (it was originally part of the Spring 2013 Staccato Collection), but I'm actually loving the paler shade of pink. I also continue to be impressed with how easily it applies! Each coat glides on smoothly with no streaking or dragging. This is two coats. I can't imagine a time when this polish won't be ranked among my absolute favorites. Deborah knocked it out of the park back in 2013 (as she continues to do over and over), and I'm happy to say this will remain part of my stash for a long time to come! Sadly, this color is no longer available. 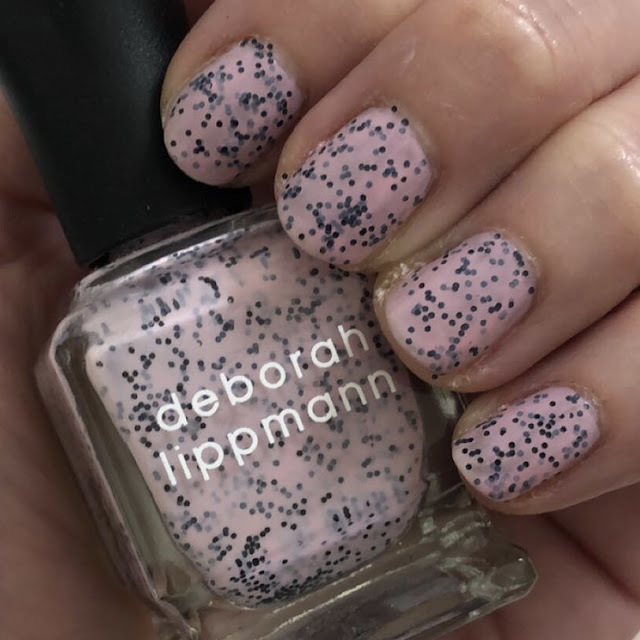 For other gorgeous Deborah Lippmann polishes, visit deborahlippmann.com or sephora.com.